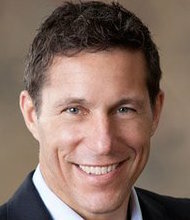 Richard Hadden is a Certified Speaking Professional, author, and leadership consultant who focuses on the connection between people and profit. He is co-author of the popular Contented Cows leadership book series, including his latest book, Contented Cows STILL Give Better Milk, and also the book Rebooting Leadership. 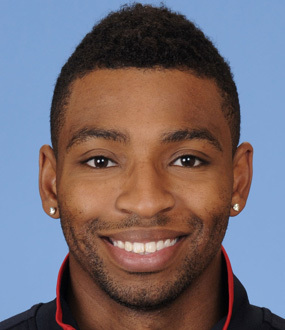 He holds a Master of Business Administration from The University of North Florida, Jacksonville and a Bachelor of Science in Management from Jacksonville University. 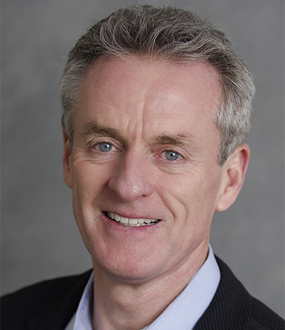 Since 1990 Richard Hadden has delivered keynote presentations and training programs on Leadership and Employee Engagement for more than 850 audiences on five continents. In 2000, he received the Certified Speaking Professional designation (CSP) from the National Speakers Association. This is the highest earned designation in the speaking profession. Richard Hadden is a Certified Speaking Professional with a focus on employee relations and creating a great place to work. He is the co-author of Contented Cows Give Better Milk: The Plain Truth About Employee Relations and Your Bottom Line. Contended Cows Give Better Milk is a business book in every respect. By using real companies and real numbers, Contented Cows Give Better Milk establishes, a clear linkage between an organization’s employee relations practices and its bottom line. Mr. Hadden has a Masters of Business Administration from the University of North Florida, Jacksonville and his Bachelor of Science in Management from Jacksonville University. Mr. Hadden has earned the Certified Speaking Professional (CSP) designation, the highest earned designation in the speaking industry, conferred by the National Speakers Association, and held by fewer than 7% of its members. Mr. Hadden was a manager for a large savings and loan association in the 1980’s. He learned computer programming and worked as a programmer and systems analyst in the field of multi-user microcomputer software, before the advent of PC’s. He was director of Product Development for a software house in North Florida before starting his own software consulting business in 1986. 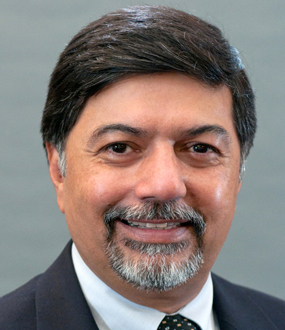 While consulting, he taught software design, principles of management, and international economics at Jacksonville University. He began working as a trainer and consultant to corporations and left the university in 1991. Since 1990 he has delivered keynote presentations and training programs for more than 500 audiences throughout the US, Canada, Australia, the Caribbean, and Europe. Mr. Hadden is a 9th-generation Floridian and a native and lifelong resident of Jacksonville, Florida. In this demo video, Employee Engagement speaker Richard Hadden discusses the "Contented Cow" philosophy, the role of Comfort Keepers in an organization and what distinguishes companies that embrace a strategy to become an "Employer of Choice." Having a focused, engaged, and capably led workforce is one of the best things any organization can do for its bottom line. 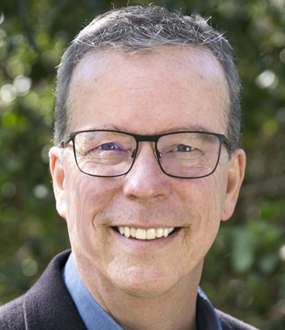 Richard Hadden has delivered hundreds of high-impact keynote presentations and leadership training sessions in more than 25 years of professional speaking. Leadership, and the Bottom Line Value of Creating a Great Place to Work, based on the principles in Bill’s and Richard’s popular book, Contented Cows Give Better Milk. Based on our 2007 book, Contented Cows MOOve Faster, this is all about Discretionary Effort, Employee Engagement, and what good leaders do to get people to put more OOMPH! into their work. An inspirational, yet practical message for leaders in a tough economy. Learn at least six ways to keep your workforce focused and fired up in uncertain economic times, and prepare your workforce for the recovery to come. The Journey Thus Far: Foundations for a Fabulous Future! Delivered by Richard Hadden only. Highly entertaining, motivational keynote celebrating your people, your organization, and your successes. 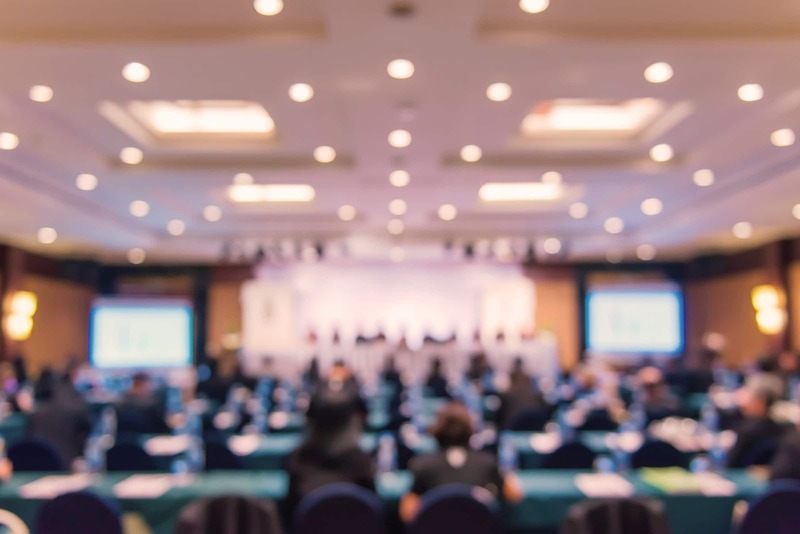 Presented as either a keynote presentation, or a more in-depth breakout or seminar, this program provides proven, practical, and prescriptive advice on how to source, recruit, find, hire, and engage the best available talent. What some of the most successful men and women do every day to keep their organizations thriving, and growing in the right direction – those who routinely demonstrate Employee Engagement and Discretionary Effort, and go above and beyond in pursuit of their organization’s mission. Keynote presentations are up to 90 minutes in length. Any of the above keynotes can be presented as a breakout session, or a half- or full-day seminar. Our flagship seminar, Bottom Line Leadership. is a half-day or full-day seminar based on the book, Contented Cows Give Better Milk. It’s full of sound, no-nonsense leadership lessons presented in a fast-paced, interactive format. “On behalf of the Houston Human Resource Management Association, thank you for the terrific program to cap off the day of seminars. Your energy and humor brought several hundred people back to life. Many remarked to me and I concur that your presentation was the best dinner program, or luncheon for that matter, the organization has ever had. Having proposed you as the keynote speaker, I basked in the reflected glory. Managers could learn a lot from a message echoed by generations of dairy farmers: “Contented cows give better milk.” This book is not, repeat, not a management tome. 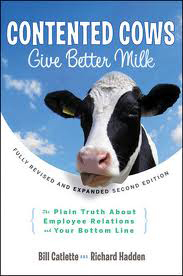 In this fully revised and expanded edition to a book which absolutely, positively makes the case that treating people right is one of the best things any business can do for its bottom line, Contented Cows Still Give Better Milk offers sound, practical advice for those who know that their reputation as an employer is as important as bandwidth. Direct from the horse’s… actually cow’s mouth, this fully revised and expanded second edition will teach readers that having a focused, engaged, and capably led workforce is one of the best things any organization can do for its bottom line. Using facts, not faith, Contented Cows Give Better Milk makes the case that if you treat people right, you’ll make more money. Of course, treating your employees right is the right thing to do, but that’s not the point. This is a business book in every respect, and like it or not, the lexicon of business is money. It’s how we keep score. So, using real companies and real numbers, Contented Cows makes the case in terms business people understand. In a profound but simple way it establishes, for the first time we’re aware of, clear linkage between an organization’s employee relations practices and its bottom line. Whether it’s in heavy manufacturing, distribution, retail, services, high-tech, or professional sports, it is no accident that the organizations consistently identified as winners in their chosen field happen to be some of the best places on earth to work. This occurs not as an afterthought, but as a vital, premeditated element of business strategy. It’s a relentless truth that those in the unenviable position of having to compete with the likes of Southwest Airlines, GE, FedEx, Hewlett-Packard, 3M, Wal-Mart, and scores of lesser known organizations we profiled have to face every day. We did a full blown analysis of the ten-year financial performance of six organizations with well-deserved reputations as great places to work (the Contented Cows), and compared it to the performance of six of their competitors (the Common Cows). The results were nothing short of astounding, and bear out a premise that would doubtless be echoed by generations of dairy farmers… Contented Cows Give Better Milk! Going beyond the numbers, Contented Cows is an essential guide for you, if you’re willing to consider the possibility that technology, capital spending, and restructuring alone will not lead to the promised land. We have taken pains to explode many of the myths about employee relations, including those based on the notion that “more is better”, and instead, tried to offer practical, fad-free advice for transforming your workforce—be it a Fortune 500 or a start-up, into a lethal competitive weapon.